Do you enjoy a family day out with super attractions? 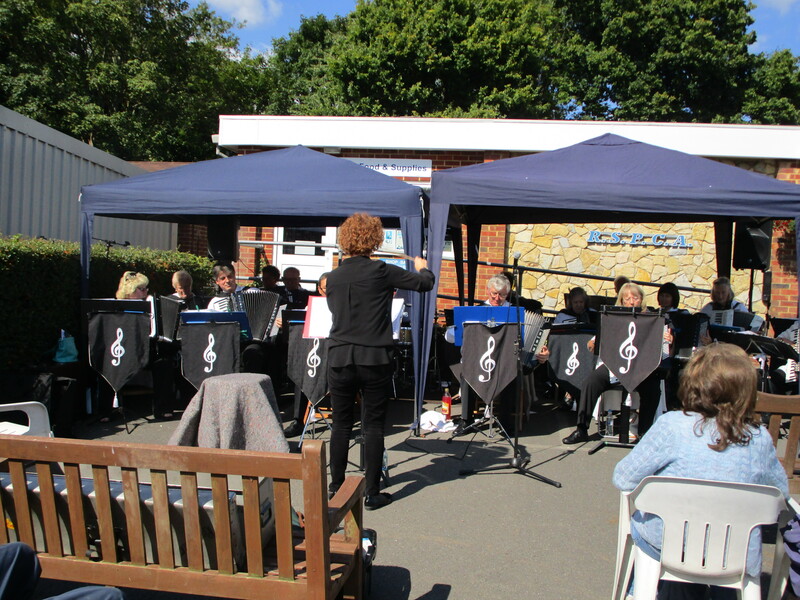 RSPCA Millbrook’s main fund-raising event takes place each year on the first Sunday of September. Last Sunday did not disappoint. 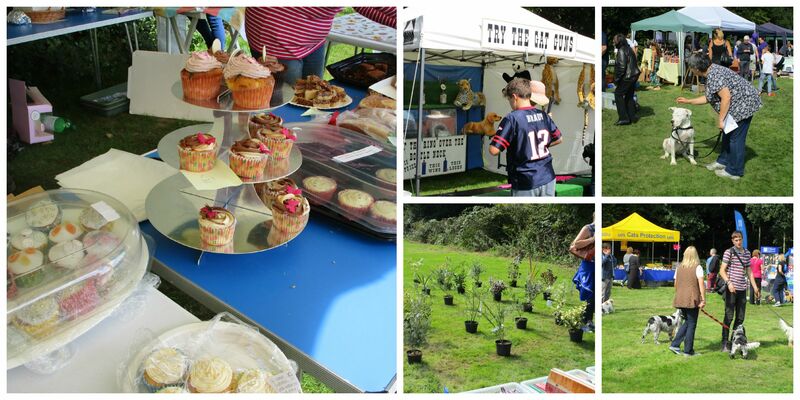 The day starts at 11 a.m. when stalls and tents open, displaying a variety of reasonably-priced plants, home-made cakes, jewellery, cards, bric-a-brac and essential animal paraphernalia, as well as tombola, face painting, Inspectors and Campaign displays. In one corner the Fairground slide and roundabout keep children amused. Dogs of all shapes, sizes and colours come with their owners to enjoy the day. 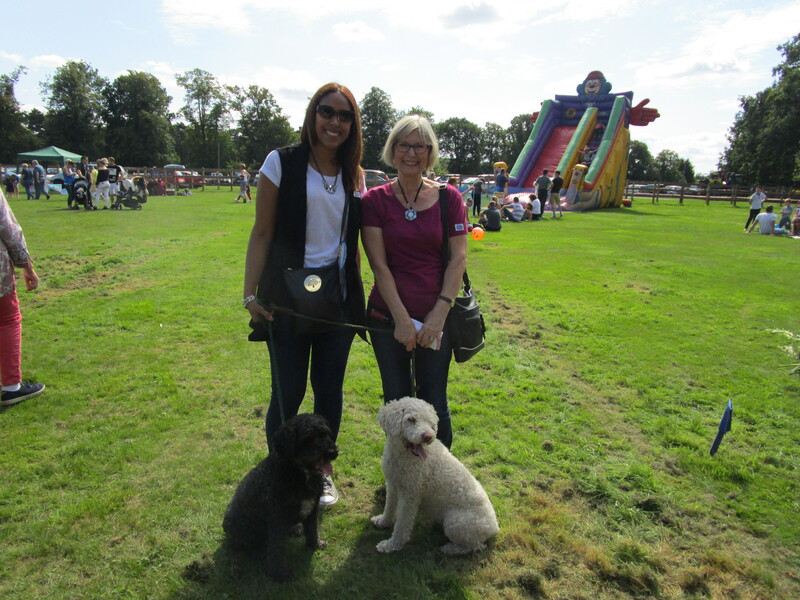 The Fun Dog Show this year was sponsored by Personnel Selection, who have offices in Surrey, Sussex and Hants. A pretty husky/pom cross puppy was awarded a best puppy red rosette at the Dog Show. 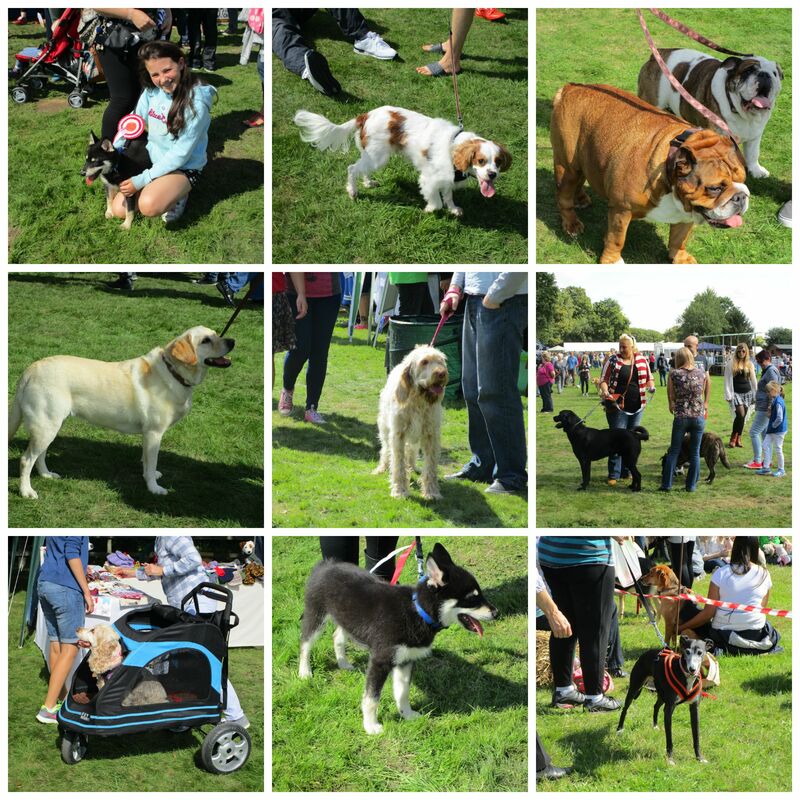 Not all dog visitors are rescues, but the wagging tails and smiling doggie faces of some showed their delight at reuniting with dog walkers and carers met during their sojourn at the Millbrook Animal Centre. Straw bales positioned around the main arena add atmosphere to events. 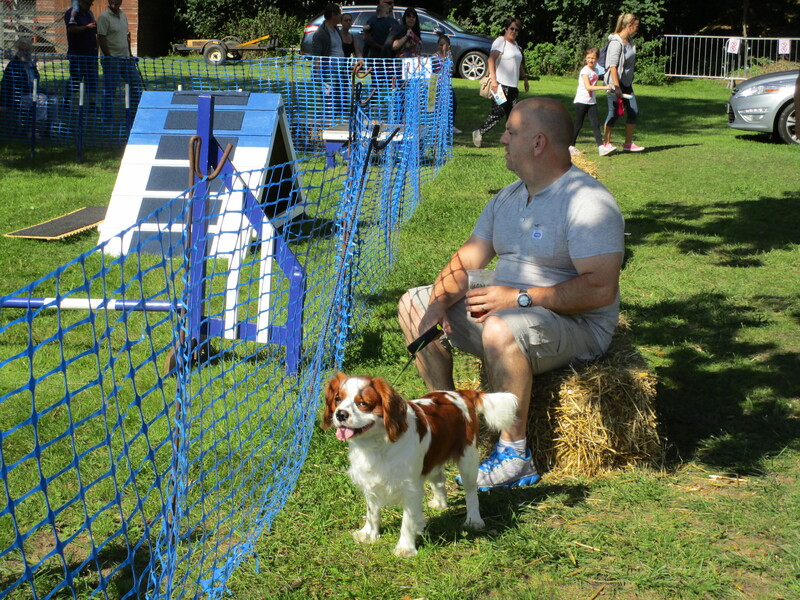 The Dog Agility Display demonstrated the close understanding required between dog and owner. 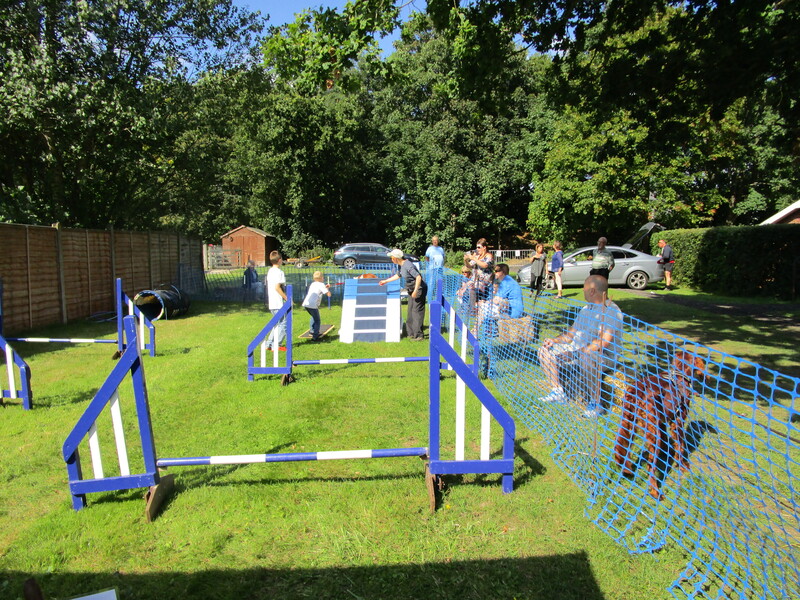 The skilful demonstration encouraged other owners afterwards to ‘have a go’ in the Fun Dog Agility area nearby. 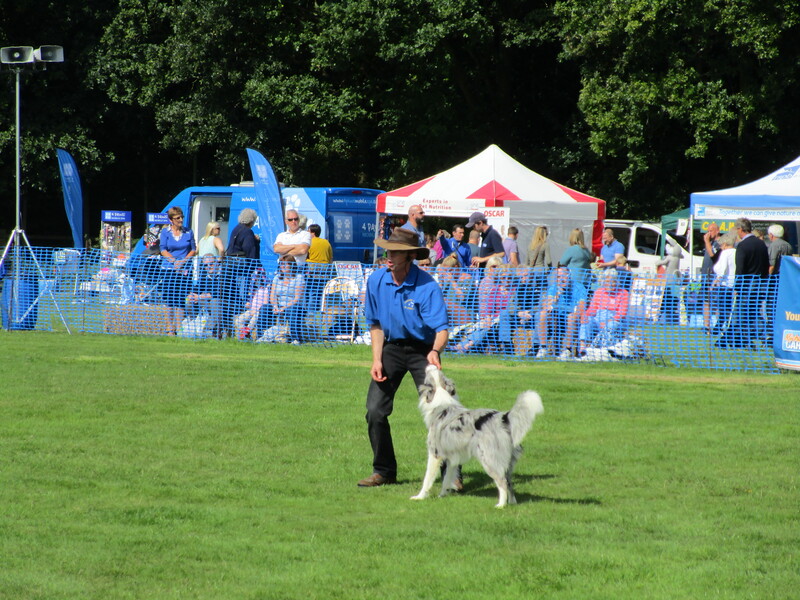 Richard Curtis demonstrated how to teach Heelwork to Music with his talented harlequin dog, and children were invited into the arena at the conclusion of the Mighty Smith Show, to participate in a tug o war. The sound of bells and flicking white scarves of the traditionally dressed group of Morris Dancers was entertaining. Events repeated through the day. The Shire Horse unfortunately was lame that morning but hopefully will soon be better. We lunched at our favourite Burger Tent with a welcome cup of tea from the refreshment hut. Veggie burgers, hot dogs with a glass or two from the Beer Tent are excellent alternatives. Away from the Main Arena, small animals and donkeys were on show in the stable block where equine information and lots of tack plus horse rugs were for sale. 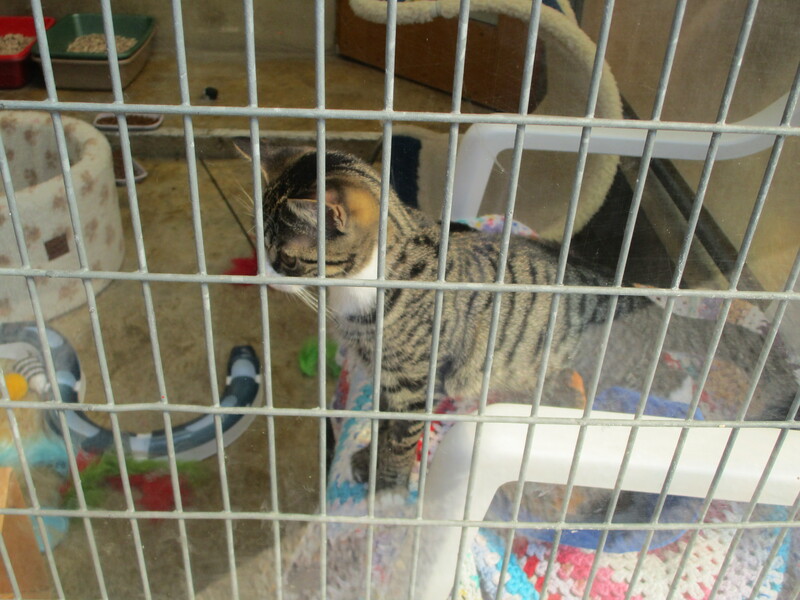 The Cattery and Kennels give an insight into the work carried out at Millbrook on a daily basis. Dogs and cats arrive in different degrees of distress, for a variety of reasons, and some backgrounds are heart-rending. 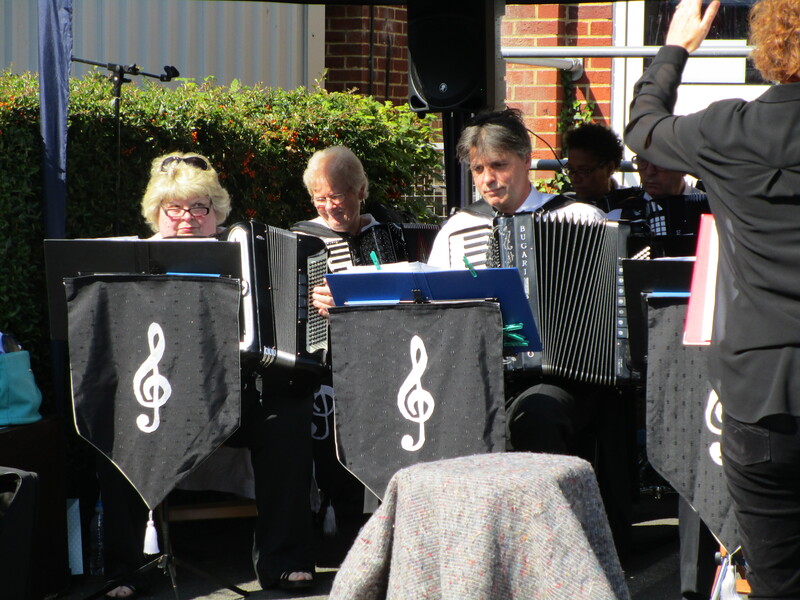 The Tillingbourne Accordion Band’s unique sound drew us in, to stand and listen to their repertoire, that sent me day-dreaming down memory lane. I first heard an accordion played outside a cinema queue in Leicester Square: the busker had a string attached to the heel of his shoe that beat a drum on his back. Very clever, I thought. A few years later, a smartly dressed accordionist was part of a group entertaining diners in the restaurant up the Eiffel Tower during my first trip to Paris. Now I associate the accordion with musicians in black berets, singing in French to celebrate Nouveau Beaujolais day. 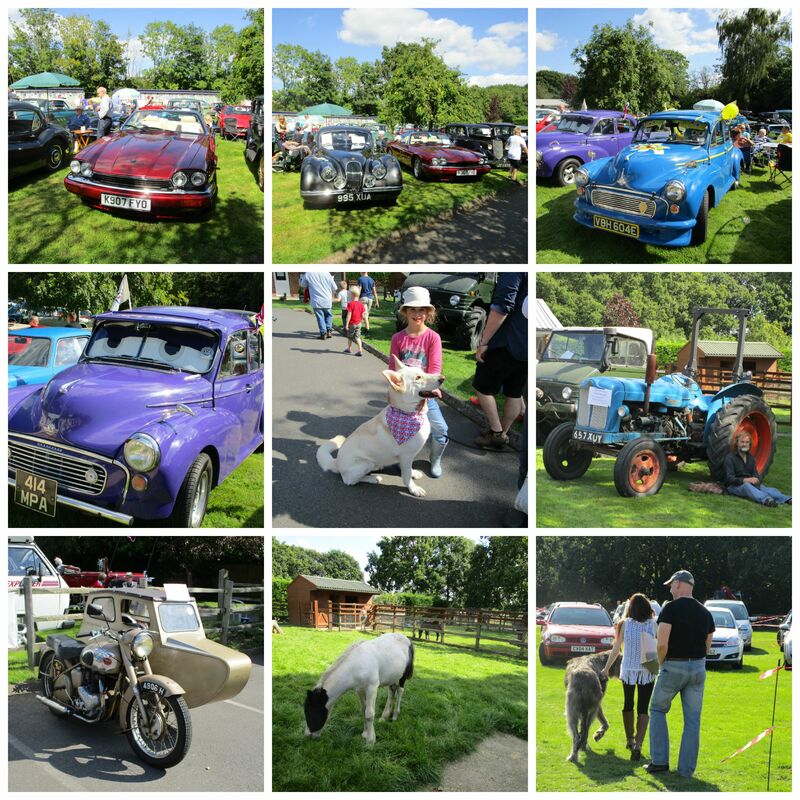 Following this enjoyable interlude we continued towards the Vintage Car Display, where colourful models shone in the afternoon sun and proud owners ate picnics close by. It costs over £500,000 each year to run Millbrook, where new homes are found for hundreds of dogs and cats, horses and ponies and small animals: guinea pigs, rabbits, ferrets, hamsters, gerbils, mice, rats chinchillas, degus, budgerigars, cockatiel and parakeets. Each year the money raised by Gala Day helps fund specific projects. In previous years this has included reforming the pond, constructing new animal blocks, and providing a new enclosed riding school area. 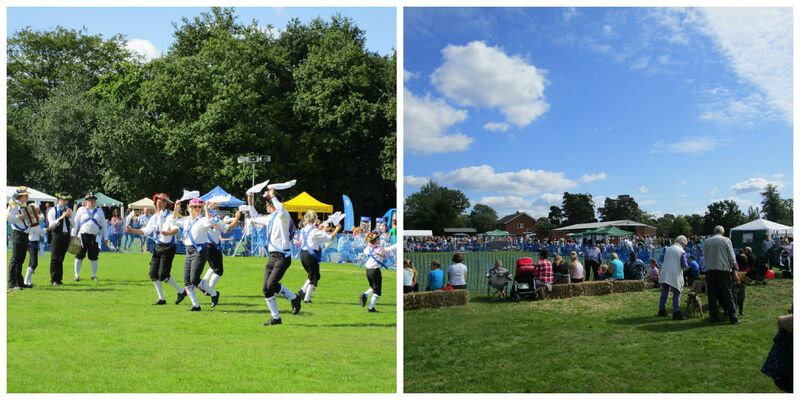 Donations are still being received but so far Millbrook Gala Day this year has raised almost £19,000. A great achievement. Well Done Sue and all the workers, sponsors, volunteers and Gala Day participants. If you are interested to learn more about homing or training an animal, working or volunteering, please contact RSPCA Millbrook direct. Please note the first Sunday in September in your calendar. 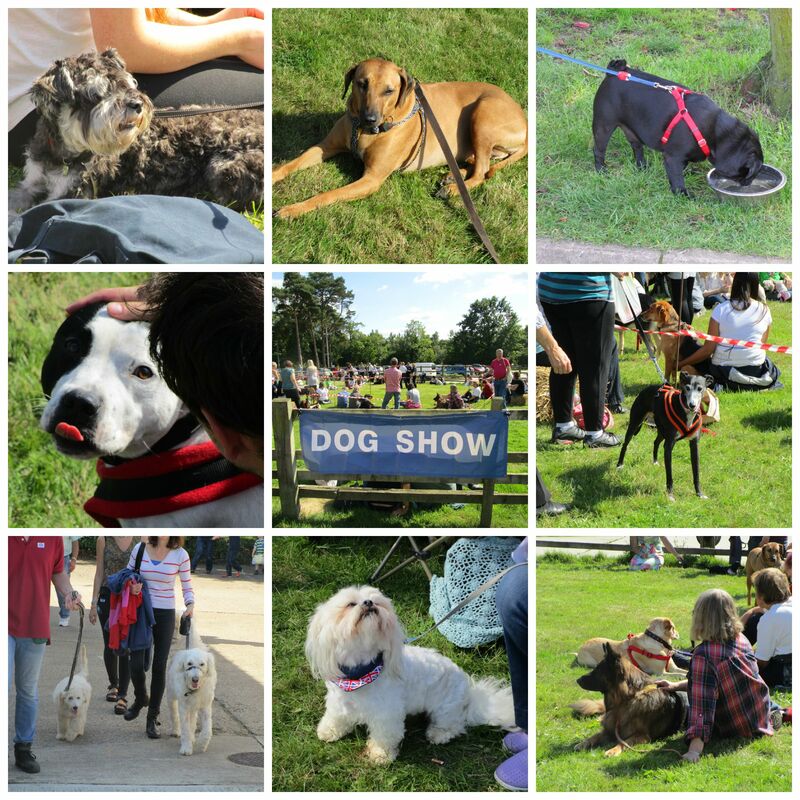 It really is a great day out for children, dogs and animal lovers. 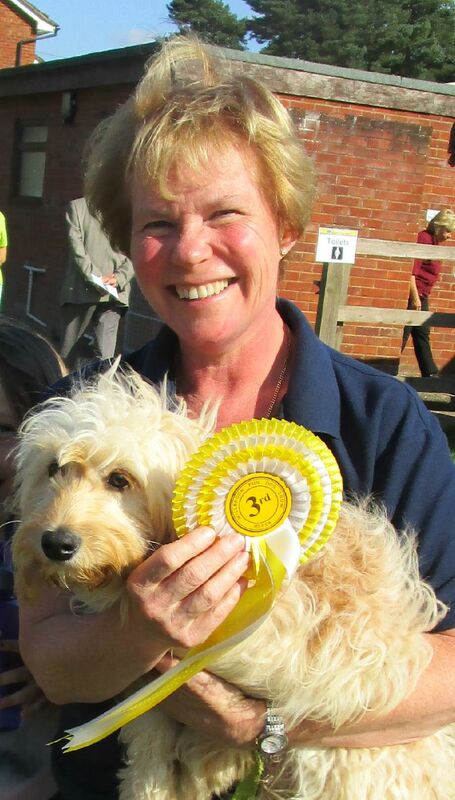 Puppies and dogs adopted from Millbrook have access to their resident dog behaviourist, June Williams M.A. (Hons) Ed.D, C.A.B.T. 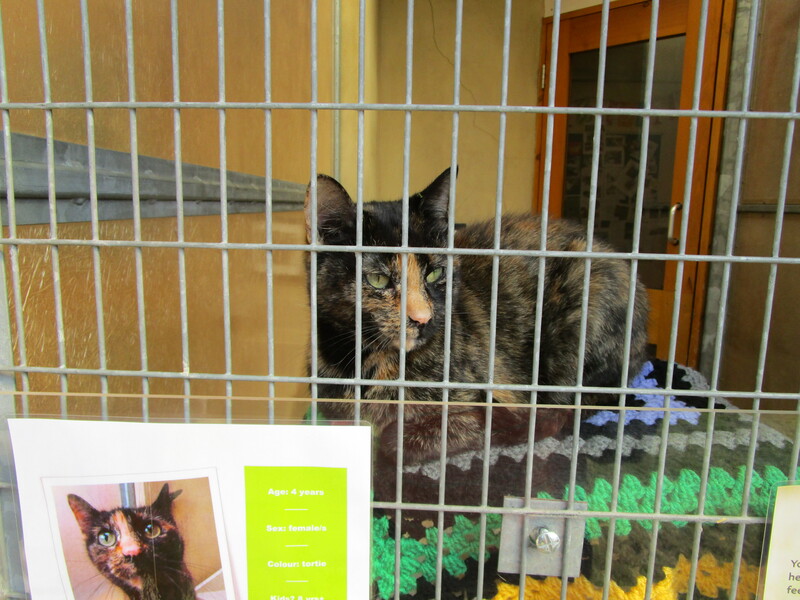 June supports new owners during their first three months, with free advice. Sarah is a Member of the Association of Pet Dog Trainers whose code of practice states that members use only reward-based training methods. If you like this blog, please share with your friends and click the ‘Like’ and ‘Follow’ Buttons to receive an email when future blogs are published. Many thanks, Diane.